NOTE: YOU MUST SELECT A CUTOUT from one of these two sources; pdf or Strong Leather. Find the correct cutout and enter below in the personalization field. 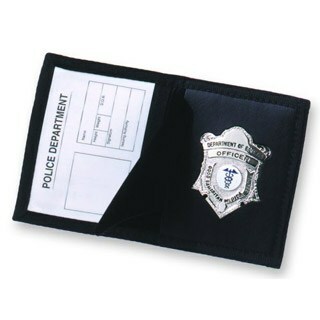 This product will be customized for your specific badge. Black ID Size: 2-3/4 in. x 4 in. 2-3/4 in. x 4 in. Maximum Badge Width Price Qty.